Working on this car is a real joy! The story behind this car is pretty remarkable. The man who brought the car in to me actually found the exact car his father bought him for his first driver back in the 1960’s. 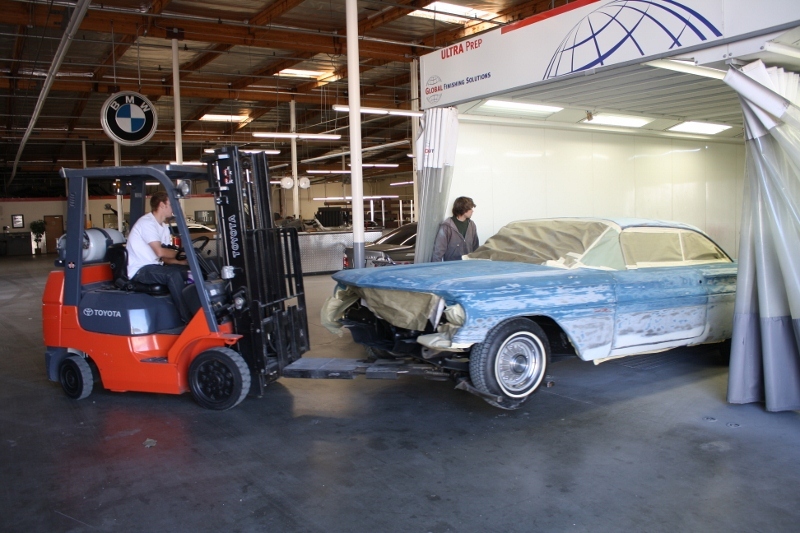 The owner wants to restore the car to its original look. Color is a big part of that and it is exactly what we’ll be doing over the next few weeks as we take this well-worn beauty to its original color … Newport Blue (an absolutely beautiful, deep color). 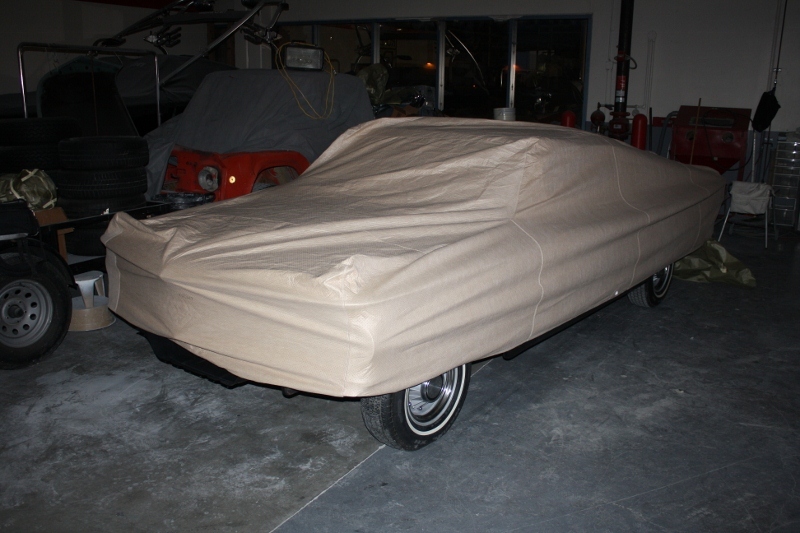 Here’s a shot of the Pontiac Catalina going in to the spray booth for its first primer. There is a lot of surface on this car but they sure don’t make them like this any more. The classic lines are head-turning. We’re working on the second primer now followed by a good blocking and some TLC she’ll have the flat lines we’re looking for. Here’s my apprentice, Beau Van Nornam, blocking the Catalina. There is a lot of surface on this car and every possible curve and angel. Blocking must be done by hand, in several stages. No machine can do this. To get a flat, beautiful finish it has to be hand blocked by an surfacing craftsman. Second stage of primer and more blocking! Getting that flat surface takes a lot of work in a lot of dust and a lot of time! 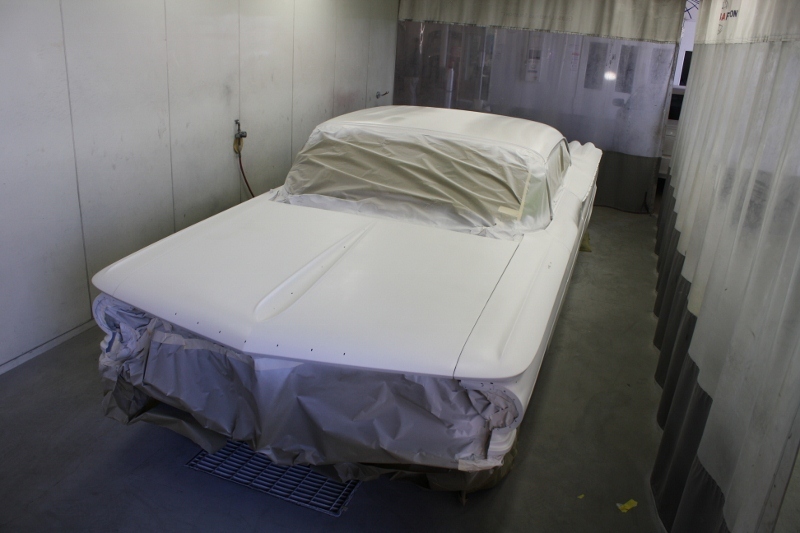 But it’s oh so worth it when the car finally gets out of the spray booth, color sanded and rubbed out … it makes all the difference. This is where a lionshare of the manhours go. 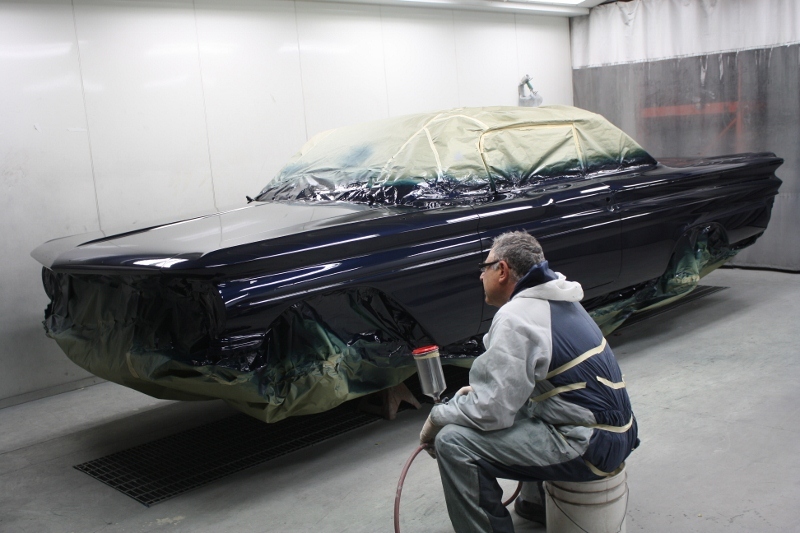 Because the Catalina is so big we painted the car in stages. First we tackled the roof and parts. It was quite the workout painting this big beauty! Here we’re freshening up the undercoat and applying red oxide primer for a factory look. Take a look at the original 8 lug, vented drum brakes … very rare! 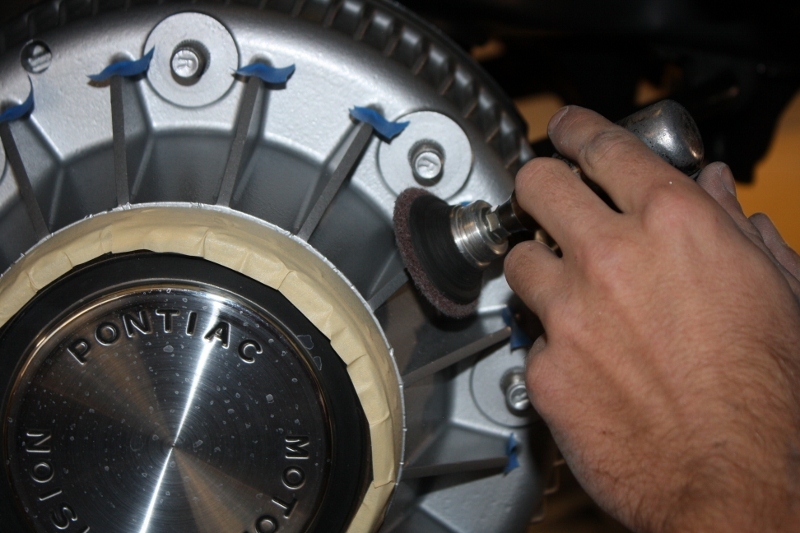 We prepped and painted the wheels to freshen up the wheels. 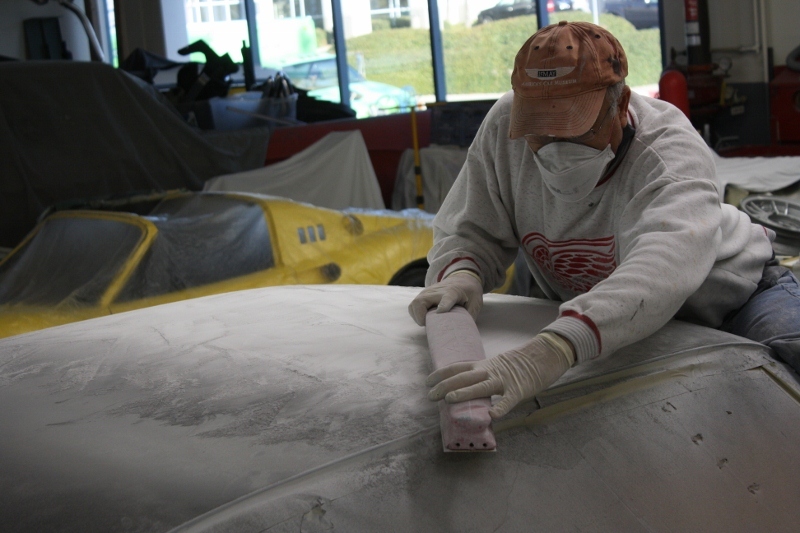 In this photo I’m rubbing out the car after it received a good color sanding. 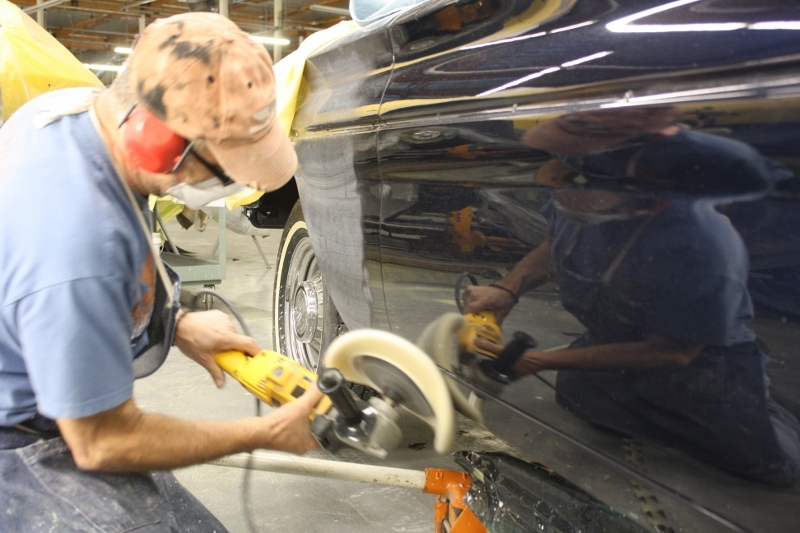 Buffing cars out has become like second nature to me after 30 years of doing this work. 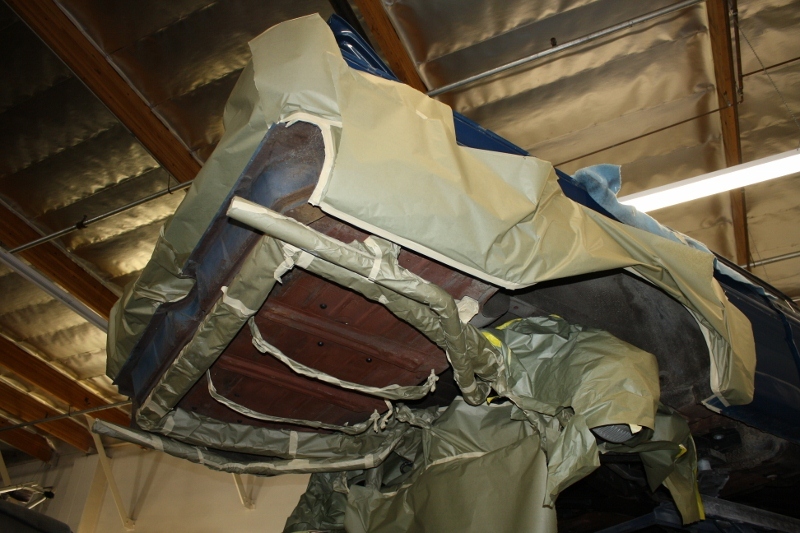 Here’s the Catalina covered and ready for delivery to get its final assembly. Watch for the “Hero” shots … they’ll be coming soon! Just saw this car featured in June 2013 Muscle Car Review magazine. Awesome car and story to go with this piece of Pontiac history. 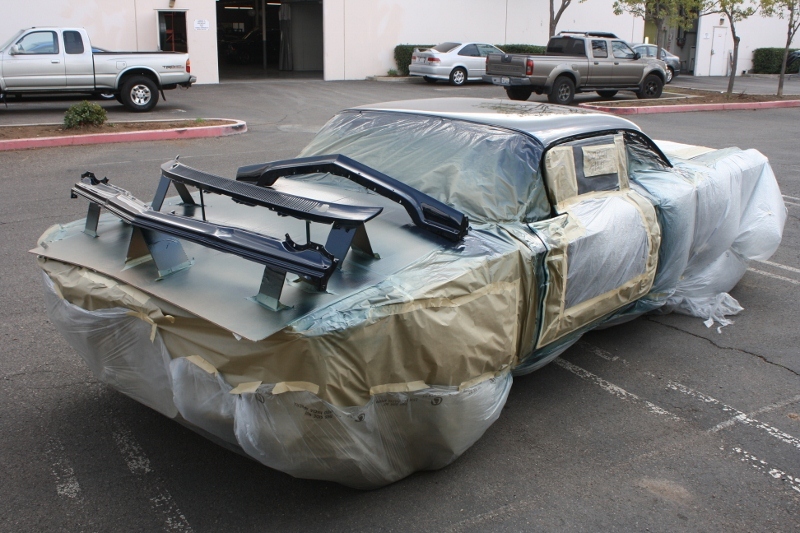 I own a ’66 GTO that was sold new out of Bob Longpre’s Monrovia dealership, so I feel I have small connection here, as well as the love of Pontiac. Also a fan of the big cars, recently bought a ’63 Catalina Safari with a factory 4 speed.